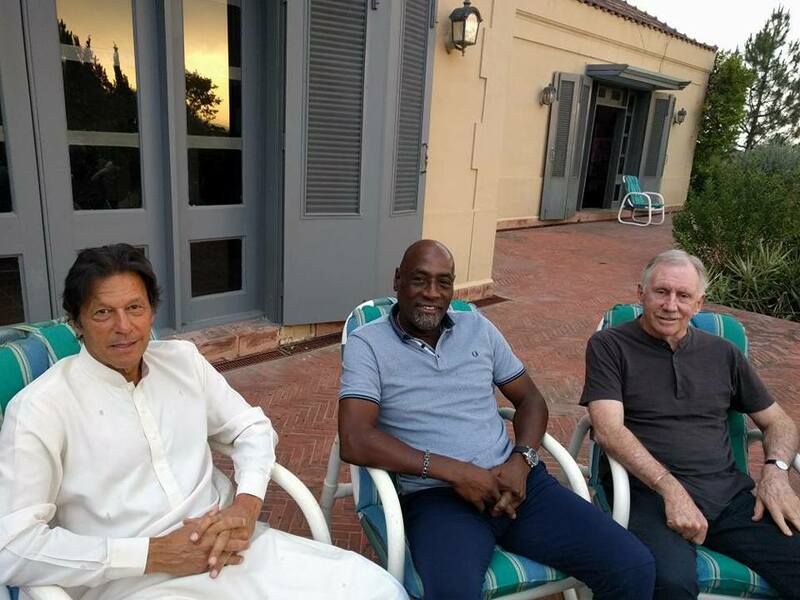 Imran Khan invited the great Sir Viv Richards and Ian Chapple at Iftari. 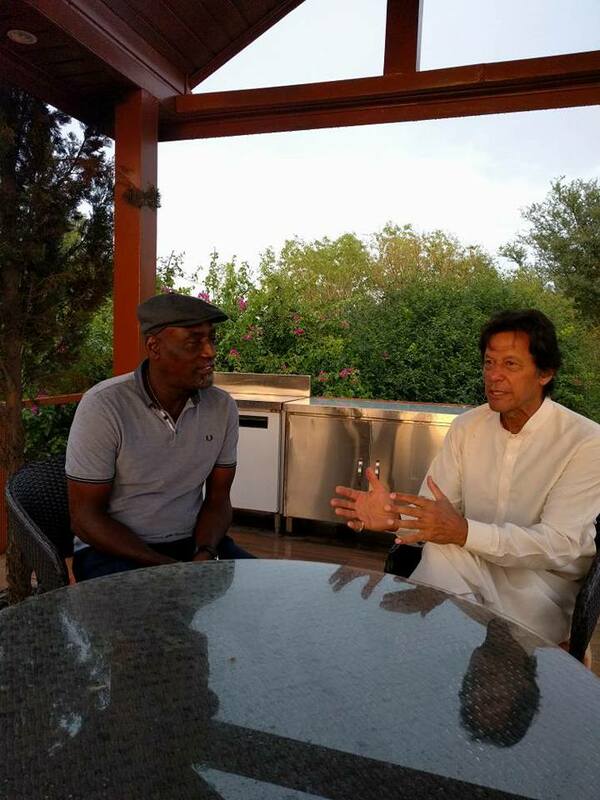 Imran Khan himself is one of the greatest names of cricket and seeing him with Sir Viv really pleasing to watch them such greats together. 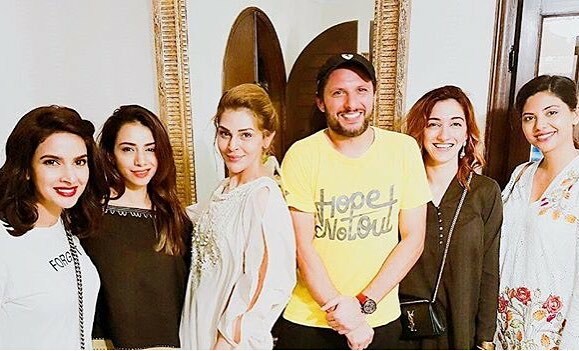 Last night Sana Bucha invited Shahid Afridi with Saba Qamar and other beauties on Sehri “Party”. 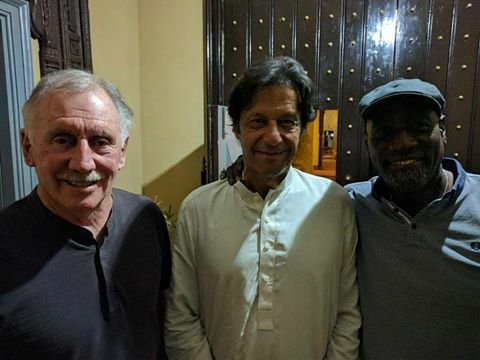 Social media criticised Shahid Afridi on the picture with Sana Bucha where Sana holding arm of Shahid Afridi and trying to get cozy with him. 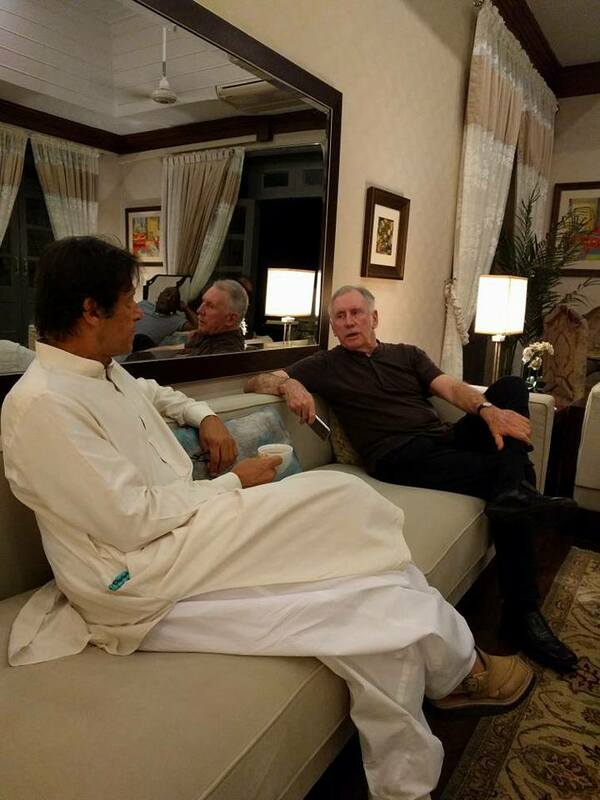 Due to Shahid Afridi’s “Islamic” image people couldn’t digest this image with Sana Bucha. 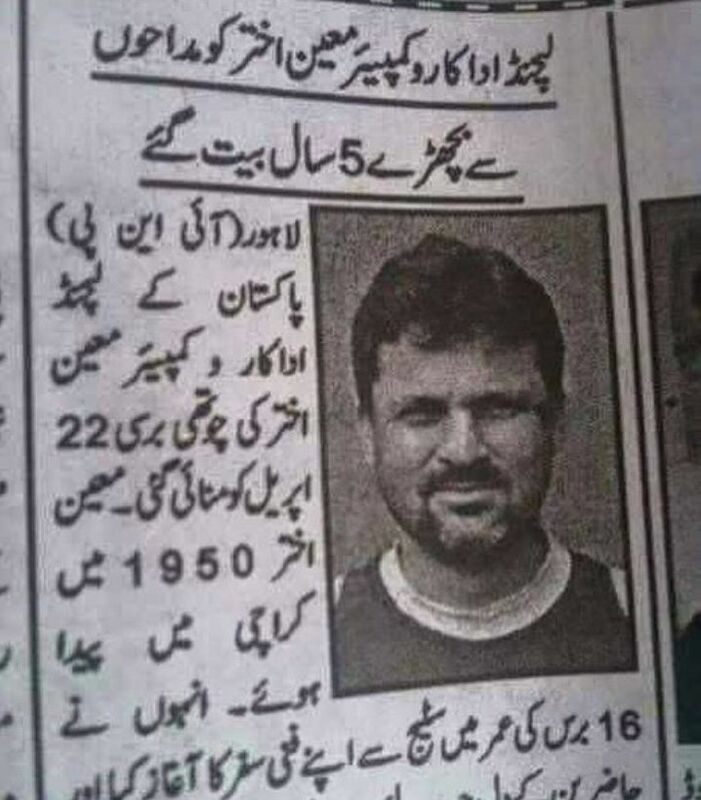 In some newspaper some “intelligent copy paste” journalist has placed Moin Khan’s picture instead of Moin Akhtar on his 5th death anniversary.